Federal Road Safety Corps to clamp down on motorists with fake licence – Royal Times of Nigeria. 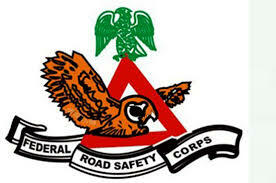 The Federal Road Safety Corps (FRSC) today said that it will clamp down on motorists with either fake or expired driver’s licence. Mr Philip Ozonnandi, the Unit Commander of the corps, made this known in an interview in Ore, Ondo State. According to him, in spite of announcements being made, most drivers still patronise touts, who issued fake driver’s licence. He said that the FRSC partnered with Vehicle Inspection Office (VIO) and Board of Internal Revenue (BIR) to ensure that issuance of licence was made easy for all motorists. The FRSC boss therefore advised motorists to visit FRSC Driver’s Licence Centres (DLC) to follow all laid-down procedures for their authentic licence to be issued.